ELGIN, Ill. (WLS) -- A soldier who graduated from Larkin High School in northwest suburban Elgin was killed in Afghanistan. 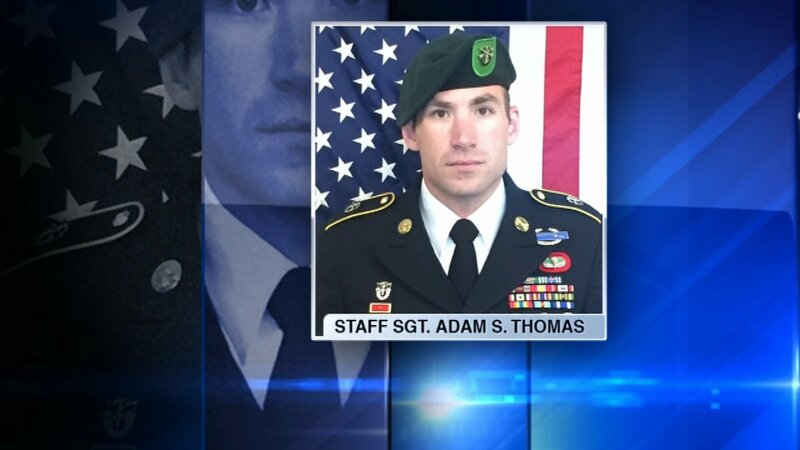 The Army said 31-year-old Staff Sergeant Adam Thomas was killed by an improvised explosive device. He was a highly decorated Green Beret assigned to the 10th Special Forces Group. S Sgt. Thomas lived in Takoma Park, Md.